Taking care of your comfort. We give a warmer home. 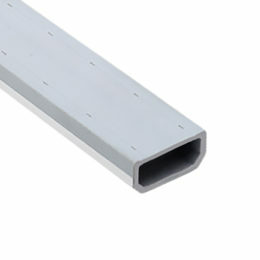 Termoprofi Warm Edge Spacer used in windows, may cause up to 8% thermal power expense reduction. Termoprofi Warm Edge Spacer causes the risk of water vapour condensation on window glasses to be mitigated by 70%. The material, that Termoprofi are made of, proves 1000-fold decrease in thermal conductivity and mitigates the perception of cold in an apartment. 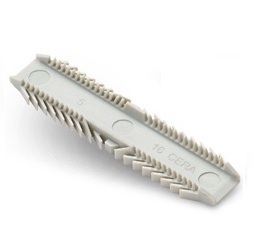 Termoprofi Warm Edge Spacer was created and manufactured in co-operation with research centres. We needed to find assurance, that innovative heat-insulating materials, meet the standards required by window glass manufacturers. The window architects and designers have ensured that the design and the range of colours have been compatible with innovative trends in the window industry. 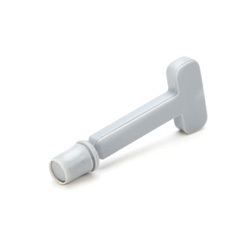 Termoprofi Warm Egde Spacer may be used by any innovative glazed unit manufacturer. There are none of technological limitations or requirements for any additional tools or devices, but universal, widely used. The higest level of stiffness, of polymer composite of Termoprofi Warm Edge Spacers, is the reason why our product is so good. It allows manufacturer to produce multiple panes of glass with perfectly fit-in spacer bars in all cavities between panes of glass. It is ineffective just to manufacture a good product. It also should harmonise with other window components and contribute to improvement of its aesthetic and quality measures. 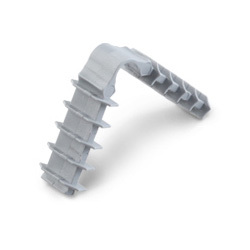 Termoprofi Warm Edge Spacers not only account for lower co-efficients of energy losses in the case of windows but also improve their durability and prevent warranty claims or complaints. Termoprofi Warm Edge Spacers cause the probability of moisture occurring on edges of windows to be reduced by even 70%. This prevents and mitigates the adverse impact of possible fungi. Termoprofi Warm Edge Spacers were created in order to substantially improve parameters of window glass in the manner that would not trigger price rise. When we design new building, we always are looking for solutions that meet the legal requirements. Although we are aware that not always it is enough, that this is not the only pre-condition to meet. The Smart and Sustainable Civil Engineering Strategy sets out the prerequisite for ergonomics, ecology, and economics. Energy efficiency in the course of operational use of a building becomes one of the key criteria. By eliminating „heat bridges” in the case of windows we may cause reducing thermal power expenditures by up to 10%. The linear conductivity coefficient for conventional aluminium window glass spacers stands at approximately 160 W/m, whereas in the case of Termoprofi polymer composite – it is below 0,15W/m. These are just a few of the benefits arising from the application of Termoprofi Warm Edge Spacers. All of those advantages are still supported by the opportunity to generate higher energy savings. What else should we expect from innovative windows? The benefits arising from the application of Termoprofi Warm Edge Spacers cannot be compared to any other conventional spacer bars applied in glazed units. System components need to be adjusted to the market demand and manufacturing technology in order to assure high quality of glazed units. 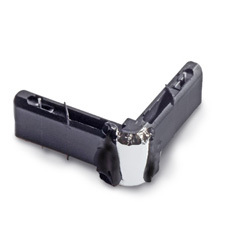 We offer products manufactured on our own and by other well-known manufacturers. 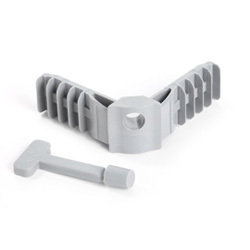 All of the components that we distribute have been tested in our laboratory to be fitted into Termoprofi warm edge spacers. Since 2012 we have been manufacturing Termoprofi Warm Edge Spacers. We offer several sizes in 7 most popular colours in order to meet the market demand. The offer is supplemented by the range of extra colours that may be chosen at our customer’s request in order to highlight the uniqueness of their products. Combination of high quality components and advanced technology of manufacturing Termoprofi warm edge spacer allows the manufacturers to ensure the required air-tightness, stiffness and sustainability that guarantee the ultimate customer’s satisfaction. 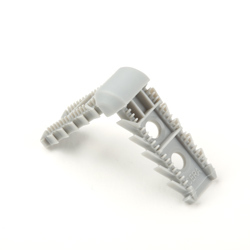 Warm edge spacer manufacturing process is based on high quality components. 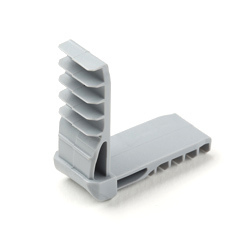 We are co-operating with global suppliers of plastic, which ensures top quality of Termoprofi Warm Edge Spacer.